PODCAST: Could Alabama football have 5 first-round picks? The time of year has come where collegiate athletes prepare to embark upon the journey of turning professional. This is when agents are hired, different exhibition games are played where NFL scouts are seeing potential prospects, and much training takes place. For the University of Alabama, Nick Saban anticipates putting multiple guys in the first round of the upcoming venue in April. After seeing the likes of Josh Jacobs, Quinnen Williams, Jonah Williams, Irv Smith Jr., Mack Wilson and Saivion Smith declare, it will be interesting to see how many go off the board early. 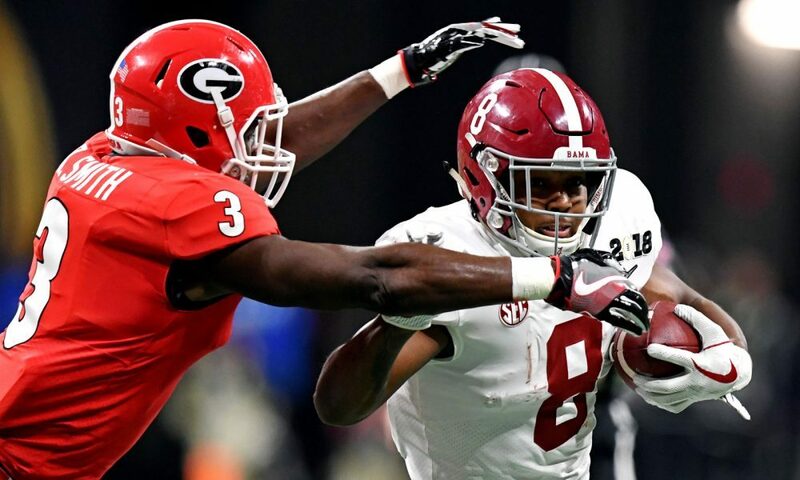 In this week’s airing of In My Own Words, Stephen Smith of Touchdown Alabama Magazine released his first mock draft of players that he projects as first-rounders. You can also check out the audio version on SoundCloud.